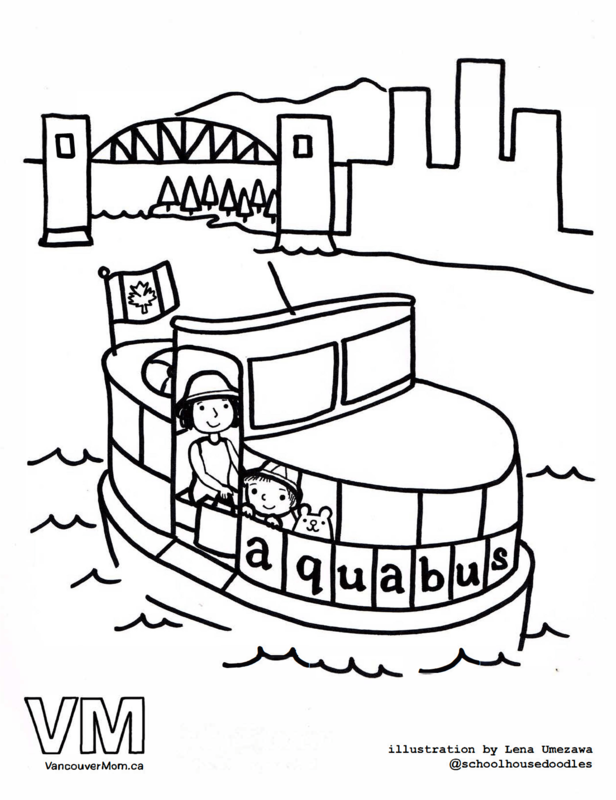 Looking for Vancouver colouring pages? 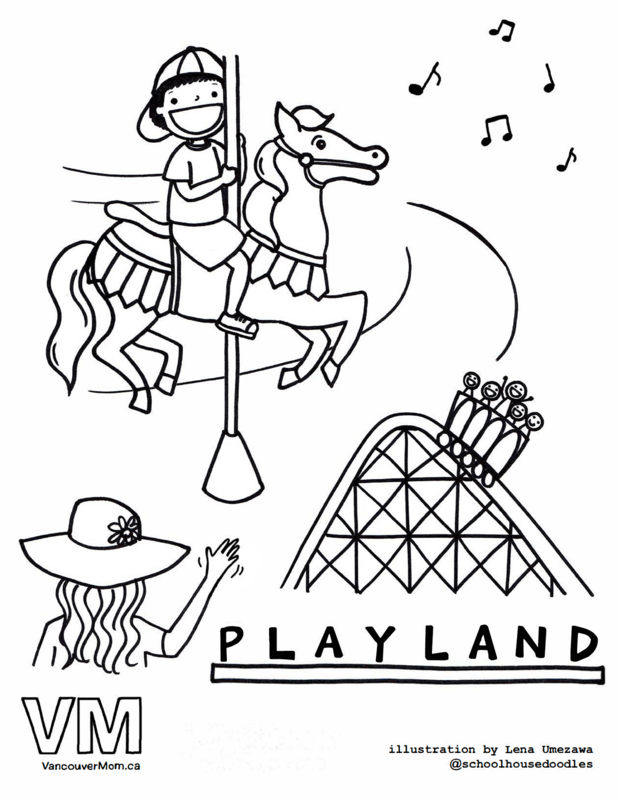 VancouverMom.ca worked with local mom and artist Lena Umezawa of Schoolhouse Doodles to produce lovely Vancouver colouring pages featuring iconic kid-friendly places in Vancouver. 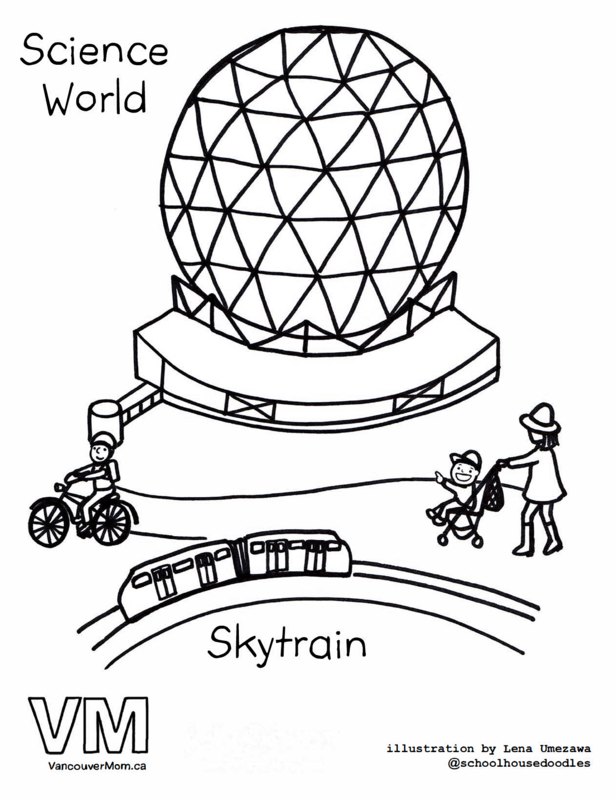 Whether it’s the Vancouver Aquarium, Playland or Science World, these Vancouver colouring pages depict local play spaces that even the most youngest tot would recognize. Feel free to download and share. 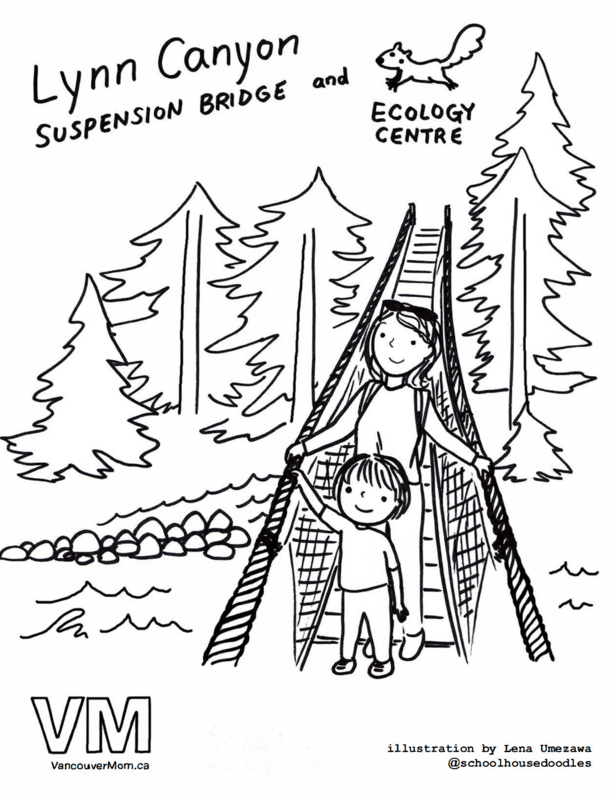 Snap a photo of your child’s creation and post it to Instagram, tagging @vancouver_mom and we’ll repost our favourites to our Instagram channel. 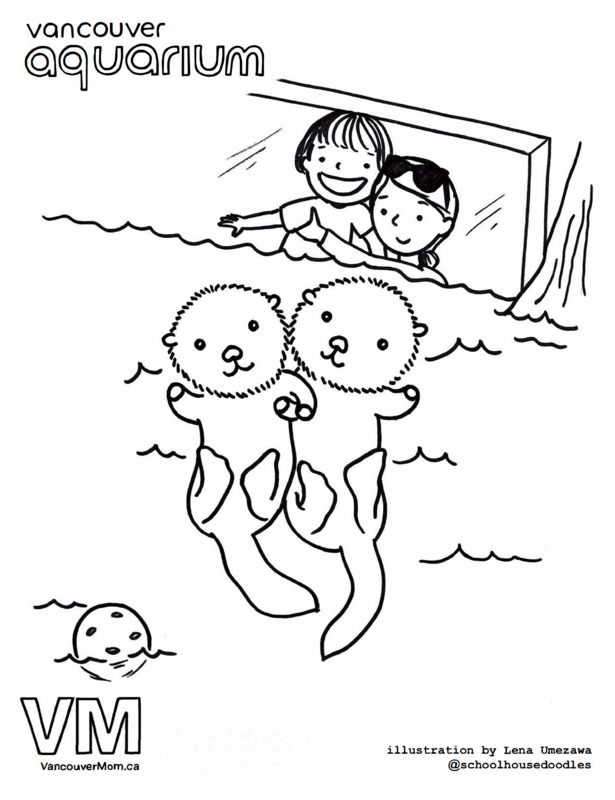 Note that these pages were produced independently and are no way affiliated with the organizations above. 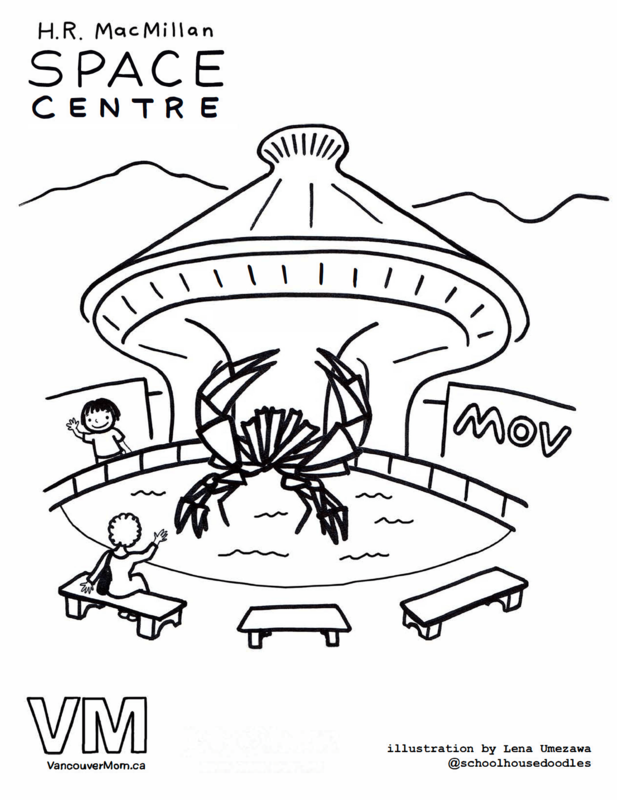 If you’re a restaurant or other business or individual, feel free to use these colouring pages for whatever purpose – provided that no alterations (other than fun colouring!) 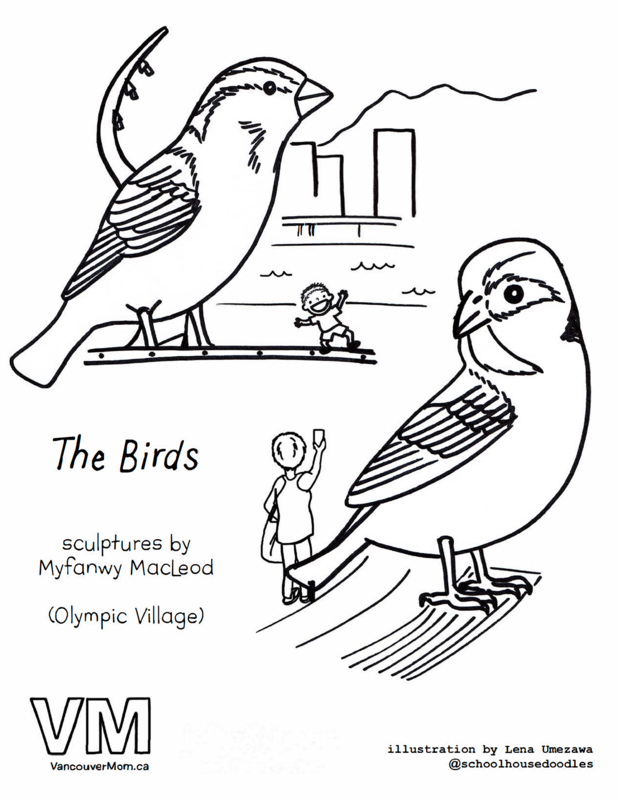 are made and our logo and the artist’s name remain credited on the page itself. We’d also appreciate you letting us know.